A rock of mass 30 kg accidentally breaks loose from the edge of a cliff and falls straight down . The magnitude of the air resistance that opposes its downward motion is 270 N.What is the magnitude of the acceleration of the rock? Airplane flight recorders must be able to survive catastrophic crashes.Therefore, they are typically encased in crash-resistant steel or titanium boxes that are subjected to rigorous testing. one of the tests is an impact shock test, in which the box must survive being thrown at high speeds against a barrier.A 41 kg box is thrown at a speed of 245 m/s and is brought to a halt in a collision that lasts for a time of 5.2 ms. What is the magnitude of the average net force that acts on the box during coliion? A 410-kg sailboat has an acceleration of 0.43 m/s2 at an angle of 31% north of east. Find the magnitude and direction of the net force that acts on the sailboat. Two forces, F1 and F2, act on the 5.00 kg block shown in the drawing. The magnitudes of the force are F1=50.0 N and F2=31.0 N. What is the horizontal acceleration (magnitude and direction) of the block? A 12.1 kg concrete block rests on a horizontal table. 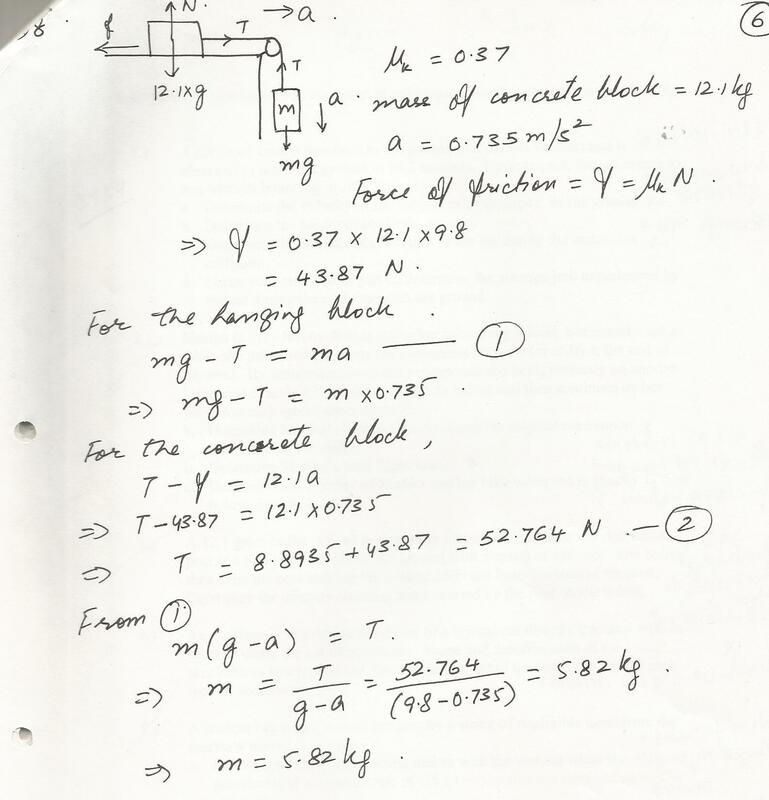 The coefficient of kinetic friction between the block and the table is .37.A second block is attached to the concrete block by a string a string passing over a frictionless pulley of negligible mass. 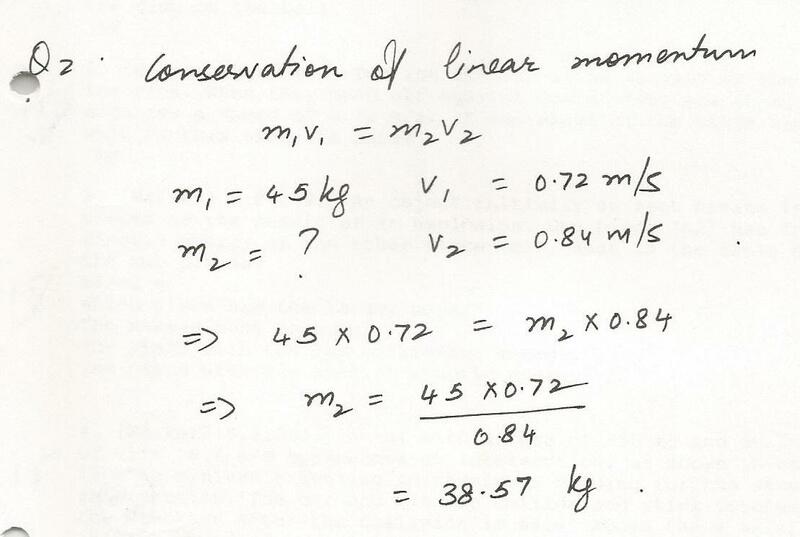 If the acceleration of the concrete block is .735 m/s2 to the right, what is the mass of the second block? A student has a 75 g crystal hanging by a string of negligible mass from the rearview mirror in her car. 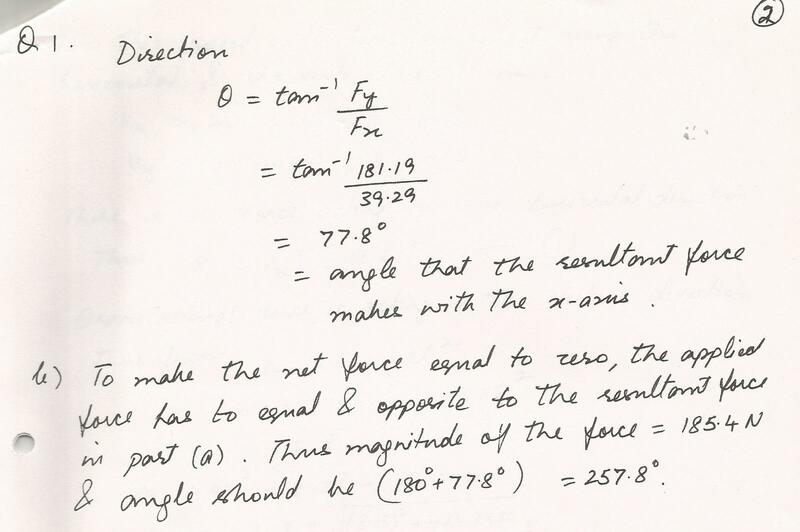 b.Determine the tension in the string during this acceleration. A 12.1 gram bullet is fired horizontally into a 24.0 cm thick wooden fence post at a point 155 cm above the ground with a speed of 430 m/s. The bullet then exits the post striking the ground 3509 cm from the base of the post.Determine the average resisting force exerted by the post on the bullet. A cat drops from a tree limb to the ground in a perfect vacuum and is observed to reach the ground in 24.2 seconds. Upon impact, the cat comes to rest without bouncing in .123 seconds. a.Determine the velocity of the cat just prior to impact w/the ground. b.Determine the height of the limb. 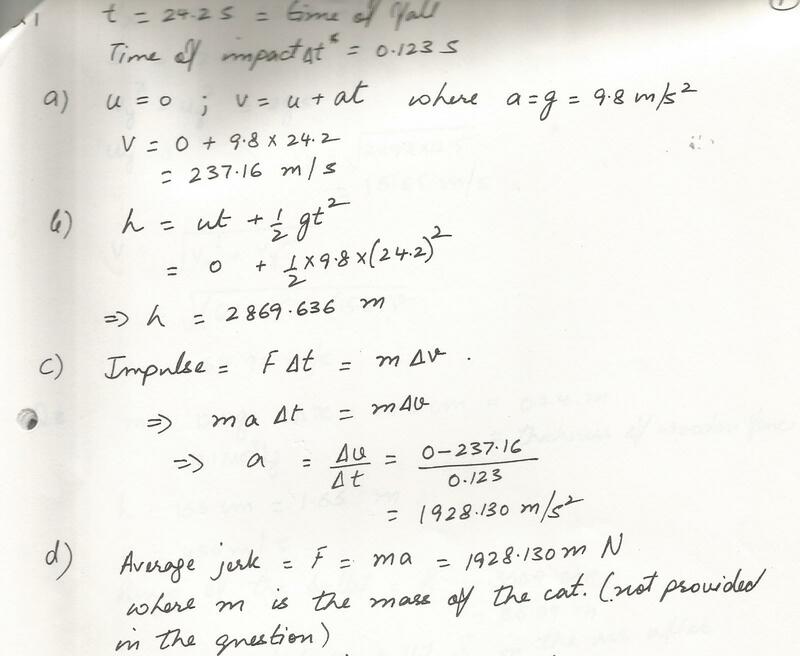 c.Determine the average acceleration of the cat during the impact(or collison). d.Using your result from part C, determine the average jerk experienced by the cat during the collision with the ground. Two people pull on a stubborn mule. (a) the single force that is equivalent to the two forces shown, and (b) the force that a third person would have to exert on the mule to make the net force equal to zero. Sand from a stationary hopper falls on a mov-ing conveyor belt at the rate of 4.94 kg/s. The belt is supported by frictionless rollers and moves at 0.726 m/s un-der the action of a horizontal external force supplied by the motor that drives the belt.Find the frictional force exerted by the belt on the sand. Answer in units of N.
A rocket engine consumes 100 kg of fuel per second. 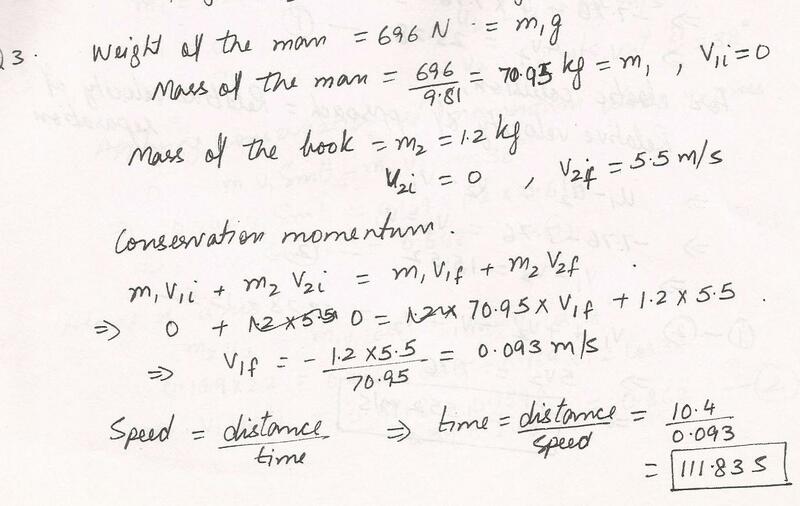 If the exhaust speed is 4000 m/s, calculate the thrust on the roket. Answer in units of kN. A machine gun fires 20.9 g bullets at a speed of 322 m/ s.The gun fires 306 bullets/min. 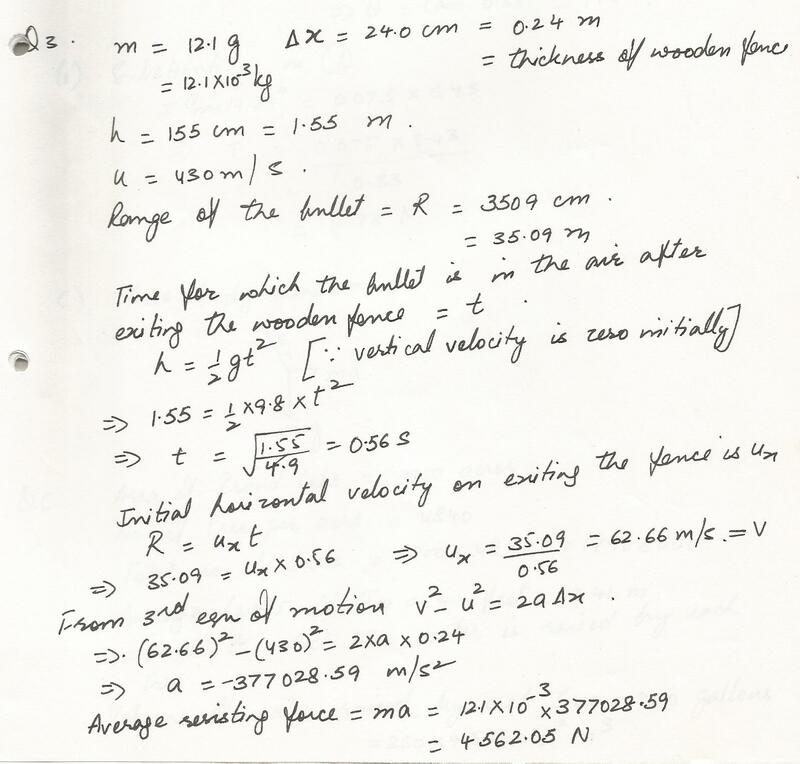 What is the average force the shooter must exert to keep the gun from moving? Answer in units of N.
A (n) 696 N man stands in the middle of a frozen pond of radius 10.4 m. He is un- able to get to the other side because of a lack of friction between his shoes and the ice.To overcome this difficulty, he throws his 1.2 kg physics textbook horizontally toward the north shore, at a speed of 5.5 m/s. 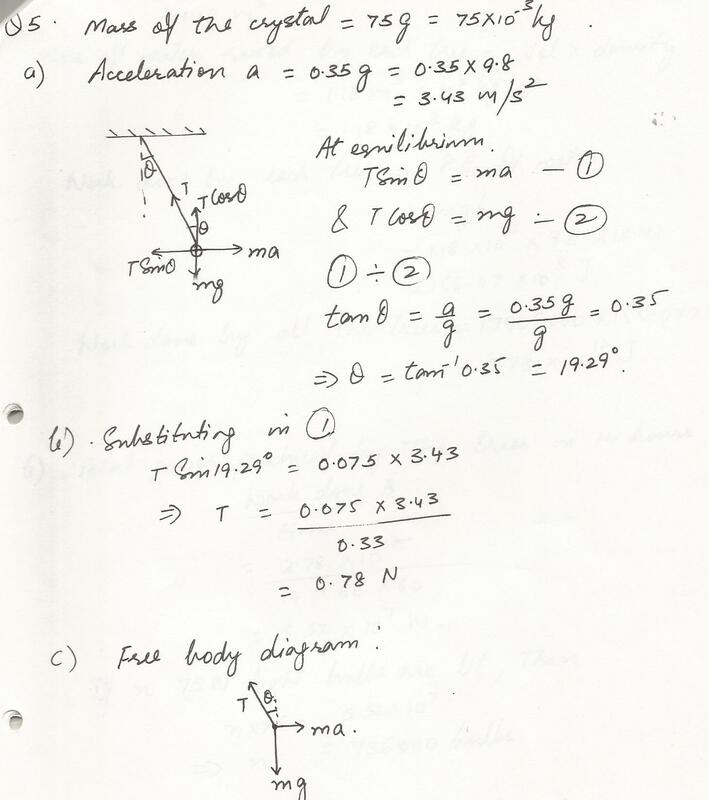 The acceleration of gravity is 9.81 m/s squared. How long does it take him to reach the south shore?Answer in units of s.
Displaying 16-30 of 709 results.